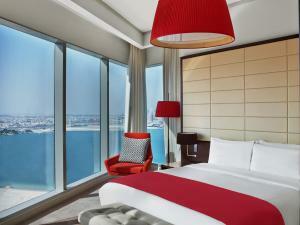 Lock in a great price for W Doha Residences – rated 8.5 by recent guests! Just 650 feet from Corniche Promenade and City Center Shopping Mall, this design hotel offers stylish rooms with satellite TV. It features an outdoor pool, a spa and on-site restaurants. The air-conditioned apartments at W Doha Residences feature a living room with a dining area and a kitchen complete with a stovetop and a microwave. The bathrooms is fitted with a bath and a shower. W Doha Residences offers several dining options, covering both regional and international cuisine. 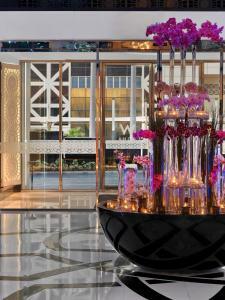 Guests can relax at the poolside bar or enjoy a cocktail at the Crystal Lounge. 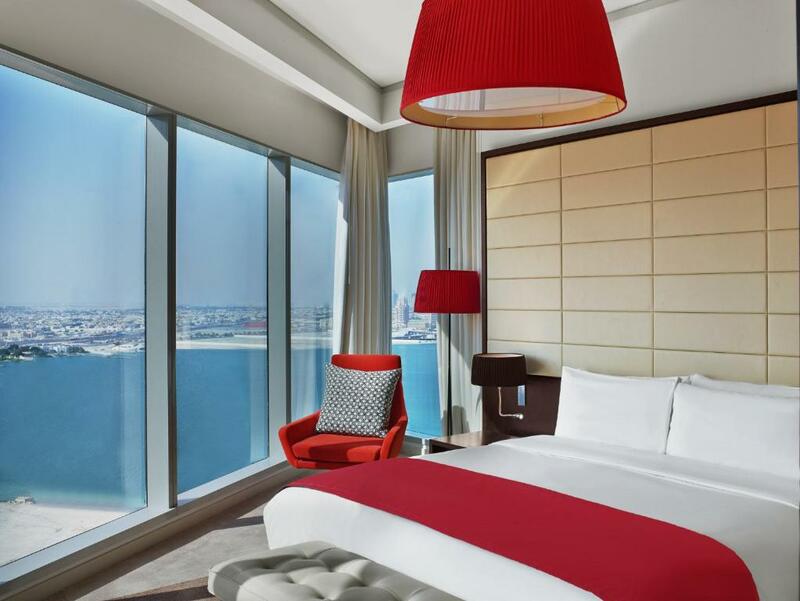 The pet-friendly W Doha Residences is less than 13 mi away from Doha Airport. Free private on-site parking is available. 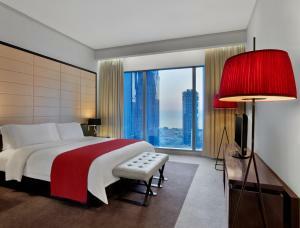 When would you like to stay at W Doha Residences? This elegantly decorated, air-conditioned apartment offers a living room with a dining table and a kitchen complete with a microwave, a dishwasher and a stovetop. Facilities includes a flat-screen TV, a dishwasher and a washing machine. 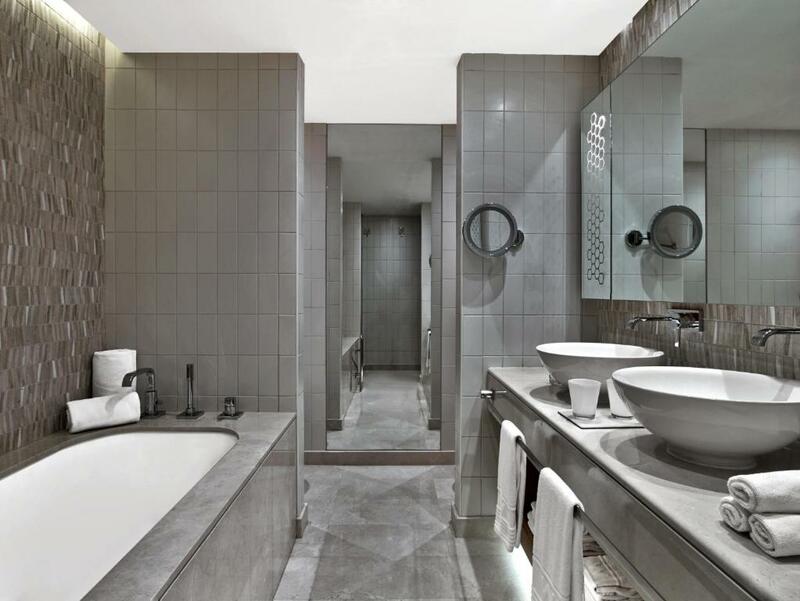 The bathroom includes a bath and a shower. Featuring a sea view, this elegantly decorated, air-conditioned apartment offers a living room with a dining table and a kitchen complete with a microwave, a dishwasher and a stovetop. Facilities includes a flat-screen TV, a dishwasher and a washing machine. The bathroom includes a bath and a shower. This apartment has a kitchen, iPod dock and sofa. This elegantly decorated air-conditioned apartment with sea view offers a living room with a dining table and a kitchen complete with a microwave, a dishwasher and a stovetop. Facilities also include a flat screen TV and washing machine. The bathroom includes a bath and a shower. 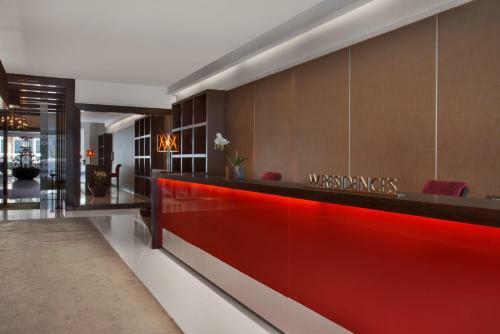 W is a destination, more than a hotel. A contemporary lifestyle brand infused with the energy of non-traditional luxury… Hip, new/next, fresh & up and coming, always balanced with what is comfortable and cozy. Our talents (employees) represent that lifestyle to our guests. We are the soul behind the brand and we bring it to life. We are passionate, innovative and we have an eye for detail. 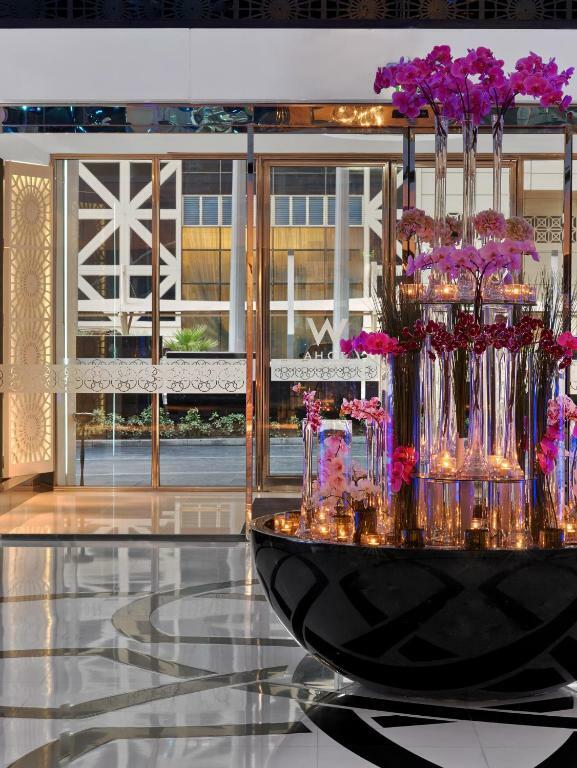 Our hotel is located right in the center of it all, where the waters of the Arabian Gulf meet the desert landscape, and where metropolitan energy meets couture fashion and buzzing nightlife. So exploring the best the city has to offer is as easy as stepping outside. 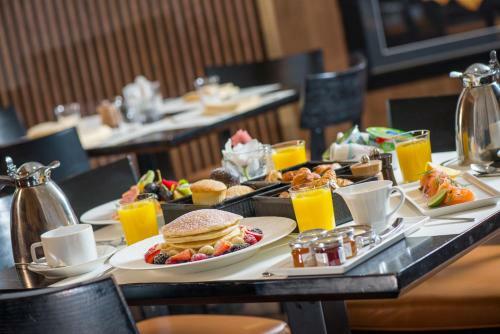 Whether you’re visiting for business or leisure or just stopping over in Doha for a couple of days, we’ve put together a list of some of our favorite spots to discover while you’re here, all within 15 miles of the hotel so you’ll never be too far away. Check out The Museum of Islamic Arts in Doha’s artificial island, the Corniche. Here you can explore local artifact, manuscripts & precious materials that show off historical Islamic culture. Visit the Katara Cultural Village, where everything from concerts to operas, & beach activities to restaurants featuring cuisines of the world bring together the best of every destination in the most multidimensional cultural project of Qatar.Or, you could do a little (or a lot) of shopping at Souq Waqif, home to restaurants, art galleries & local, traditional stores that sell spices, handicrafts, souvenirs and local garments. 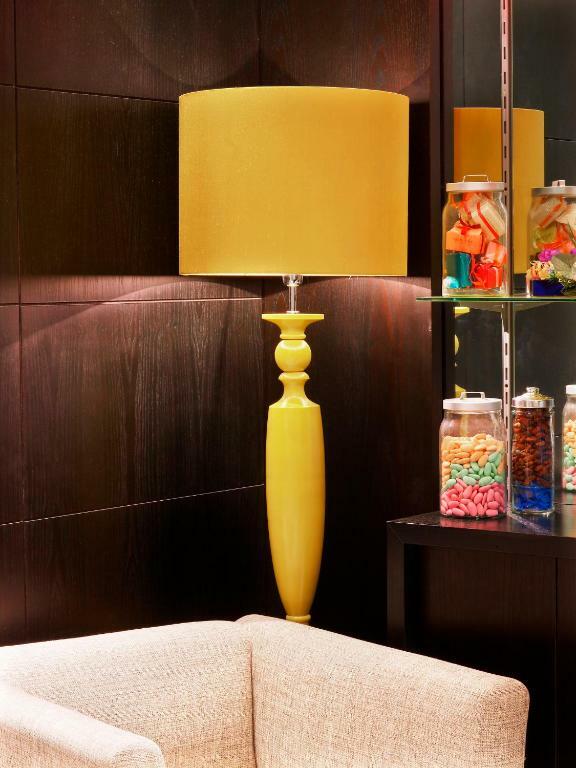 House Rules W Doha Residences takes special requests – add in the next step! W Doha Residences accepts these cards and reserves the right to temporarily hold an amount prior to arrival. Nothing. Everything was okay during my stay. My family are happy. I like the staff. They are really nice and friendly. The pool is very small. The view from the hotel isn’t excellent, however this shortcoming is covered by their excellent service and facilities. The staff are one of the high points of this hotel. They are warm, welcoming, helpful and that’s the reason why people keep on coming back. 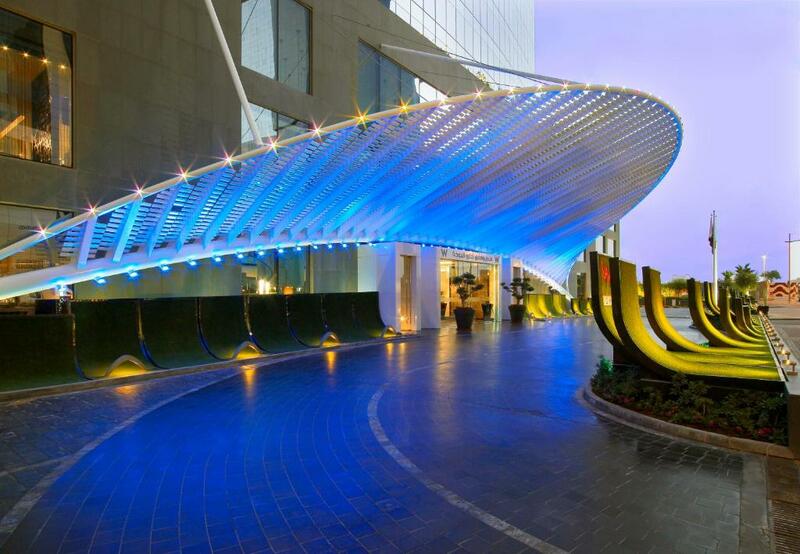 W creates an atmosphere like no other hotel, it’s luxurious as well as efficient hotel.